Yesterday, the President of the Federal Republic of Germany Joachim Gauck and his partner Daniela Schadt arrived to Luxembourg for a state visit including a state banquet featuring tiaras and some lovely gowns all around. As expected, the second day was also jam-packed with events so let's get right into it. 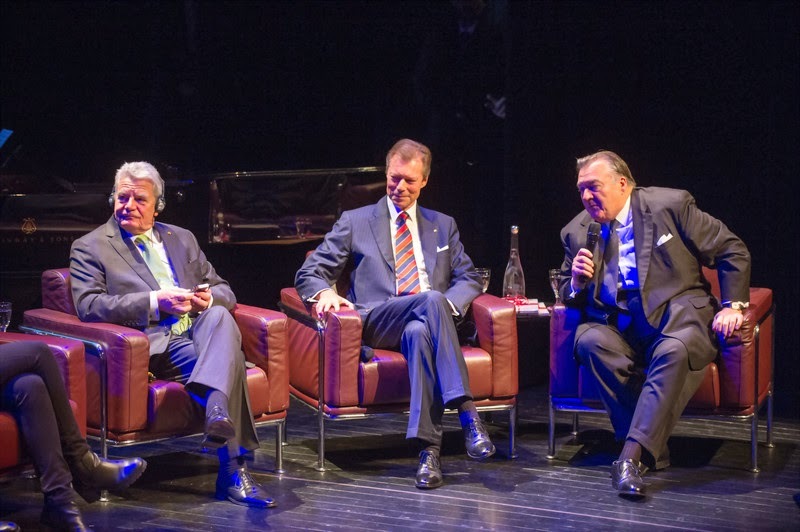 To kick off the day's activities, the Grand Duke, President Gauck and his partner visited the Pierre Werner Institute where they heard to lectures about the Luxembourgish role in post-WWI French-German relations. Afterwards, Grand Duke Henri and the German President participated in a question and answer session with students from the Lycée Aline Mayrisch. The German guests and the Luxembourgish Grand Duke, who were accompanied by Prime Minister Xavier Bettel and Deputy Prime Minister Etienne Schneider, then opened the expansion of a pumped storage hydro power station in Vianden, before attending a luncheon hosted by the Prime Minister at the beautiful and history rich Château de Vianden. And there it ends with the pictures (at least thus far). However, there still were a number of events... For example did Hereditary Grand Duchess Stéphanie and Daniela Schadt take a postprandial stroll through (especially in autumn) stunning old town of Luxembourg city. 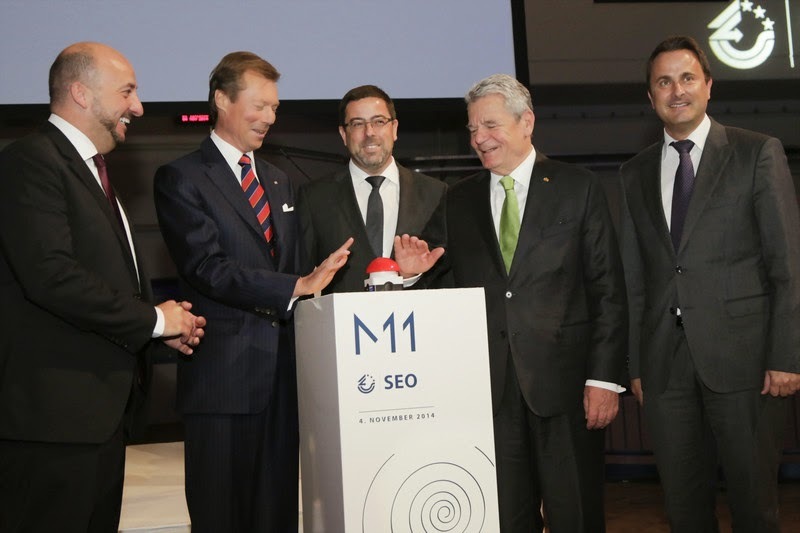 In the late afternoon, Joachim Gauck and Hereditary Grand Duke Guillaume opened the 13th German-Luxembourgish economic conference at the Chamber of Commerce. The conference has its focus on applied research and its role in strengthening the future of the economy through the exchange of knowledge. Both the German President and the future Grand Duke delivered speeches during the opening session. The second day of the state visit concluded with the traditional return dinner, this time around in the form of a official reception held at Cercle Cité hosted by the President and his partner and attended by Grand Duke Henri and Grand Duchess Maria-Teresa as well as Hereditary Grand Duke Guillaume and Hereditary Grand Duchess Stéphanie. A handful of more visuals can be found at the cour, the government and Wort. Let's keep our fingers crossed that there will be more of the second half of the day's activities soon.